Biography: Mr. Boudreaux is a lifelong resident of Terrebonne Parish, Louisiana. His practice from its inception through the present has been entirely a litigation practice. 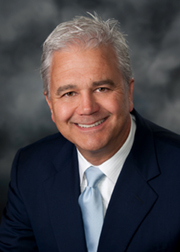 He has 28 years of experience representing both defendants and plaintiffs. He has tried numerous cases in the state and federal courts of Louisiana. From 1983 to 1988, his practice was primarily personal injury. In 1988, he joined Henderson, Reilly & Boudreaux, formerly, Henderson, Hanemann & Morris, 300 Lafayette Street, Houma, LA, where his clientele expanded to include physicians, insurance companies, offshore service companies, physicians, and businesses in the areas of medical malpractice, general liability, auto liability, worker's compensation, admiralty, Jones Act, general maritime law and Corporate Law. He also has more than 10 years experience drafting, interpreting and analyzing oilfield service contracts, Master Service Agreements, Indemnity Agreements and Insurance Agreements. Biography: With more than 30 years of litigation experience in both civil and criminal law, Mr. Schoonenberg focuses his practice on serious felony cases and the defense of physicians in medical malpractice. He also has a master’s of law (L.L.M.) in International Taxation and Offshore Financial Centers and often advises individuals and companies in cross border transactions, asset protection and estate planning. Mr. Schoonenberg has handled many cases in state and federal districts and appellate courts and obtained numerous successful verdicts in complex medical malpractice cases. He has lectured frequently on ethics, expropriation and professionalism.